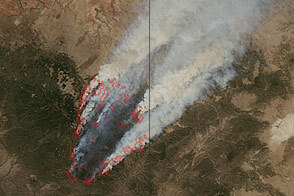 By the end of the day on June 9, 2011, Arizona’s massive Wallow Fire had reached 386,690 acres (609 square miles or 157,701 hectares) and had burned 29 and threatened 5,242 homes. Most of the homes destroyed were in Greer. Approximately 3,012 people are working to contain the fire, which is now just five percent contained. Calmer winds on June 10 should help firefighters make more progress on containing the fire, said InciWeb. 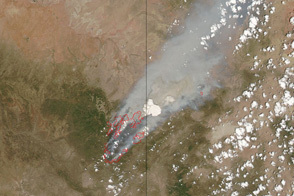 The Moderate Resolution Imaging Spectroradiometer (MODIS) on the Terra satellite acquired this image of the Wallow Fire on June 9 at 10:55 a.m. local time. 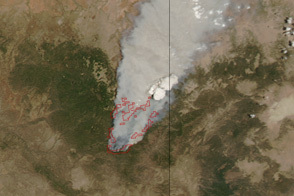 Active fire areas are outlined in red. 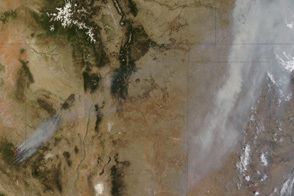 Smoke rises from the most intensely burning areas, but overall, the fire is producing less smoke than in previous days. 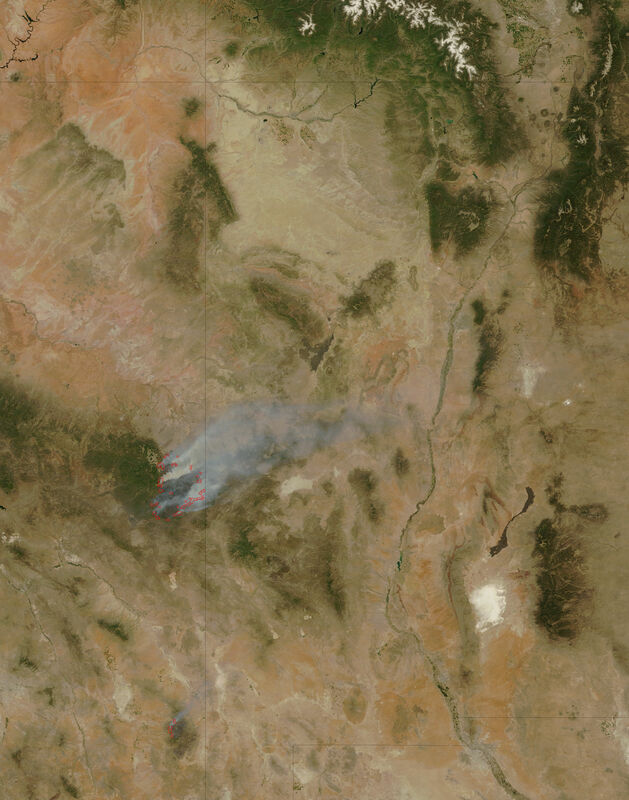 This image from June 9, 2011, shows Arizona’s Wallow Fire in the White Mountains near the border with New Mexico. 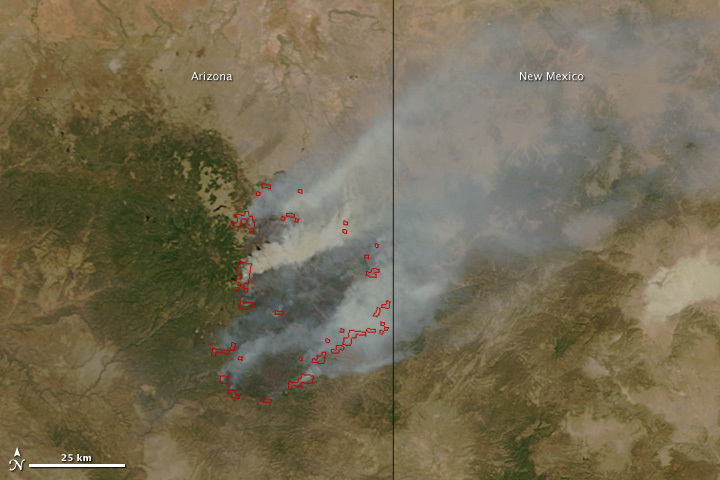 Started on May 29, 2011, the Wallow Fire swiftly grew into a large wildfire in the mountains of eastern Arizona near the New Mexico border. InciWeb. 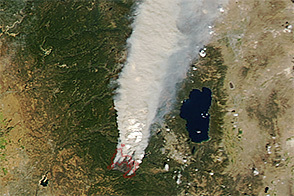 (2011, June 10). 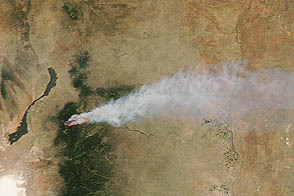 Wallow Fire. Accessed June 10, 2011.